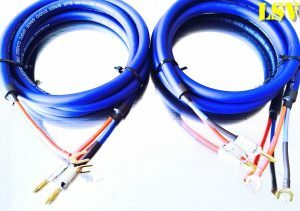 2 x 5m (A Pair) CHORD CLEARWAY Audio Speaker Cables. 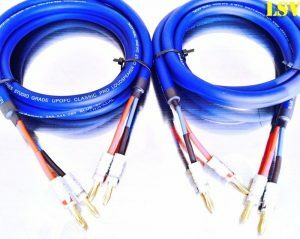 All cables are high double pressure crimped of profesional crimping tool AIRLOC HIGH PERFORMANCE TERMINATION (for maximum contact surface area)To a Very high quality 24 gold-plated AIRLOC Banana plugs of both ends, and all ends finished with colour coded black and red (gold arrows) directional double heat shrink sleeves. 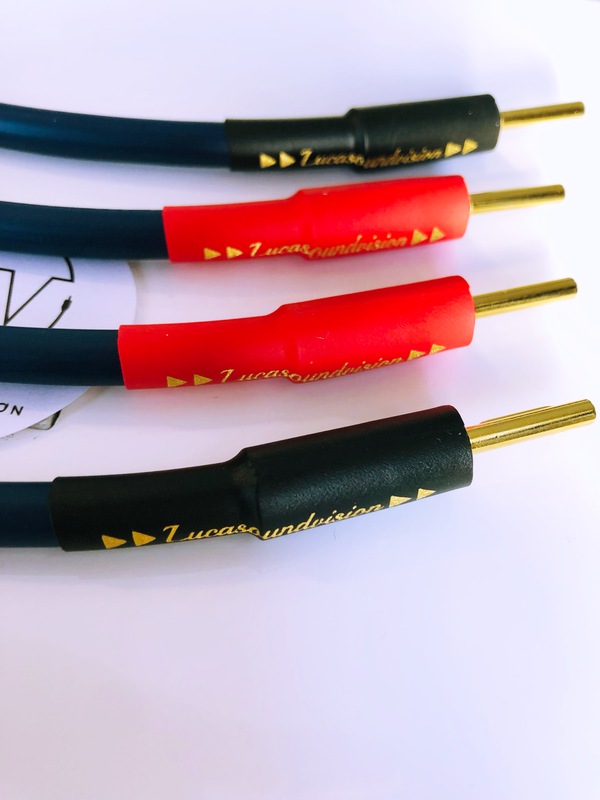 Also available Chord Company 4mm Z-Type plugs with Red & Black Cover for more details please ask. “Clearway helps the system better stitch the instruments together; it’s more rhythmic, more dynamic, more musical. And what I else heard by testing Carnival Silverscreen and Clearway? Surely deeper and stretched soundstage. 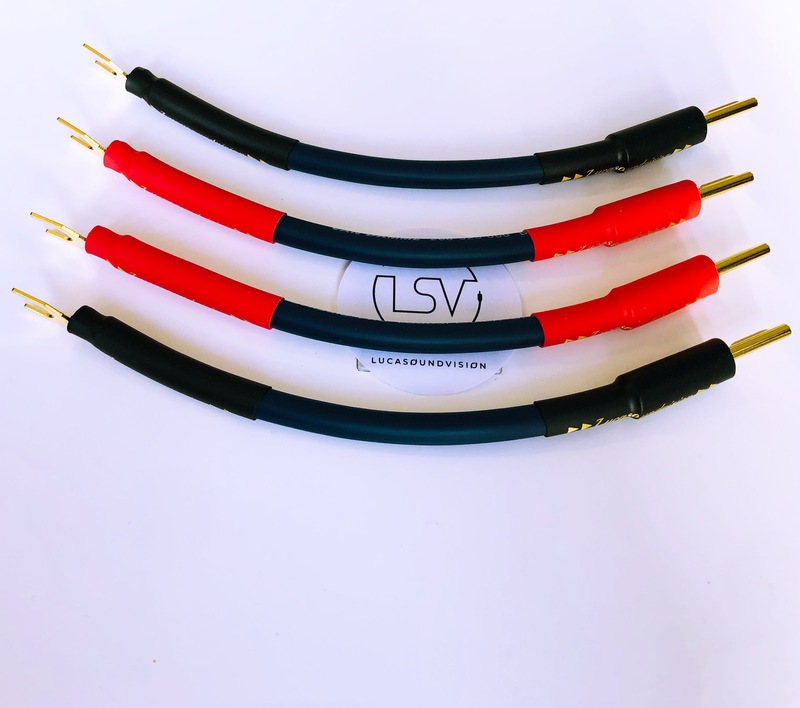 High-performance shielding is specified and just like the award-winning Carnival SilverScreen, Chord Clearway speaker cable features two contra-wound high-density foil shields. 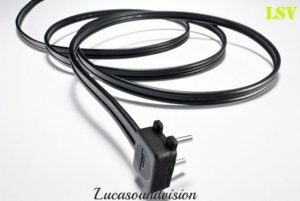 Like many Chord speaker cables, the twin foils, combined with the twisted-pair configuration, make for a level of shielding that is effective to high frequencies. Finally, a clear protective PVC jacket is applied, which again serves to further reduce any mechanically induced noise.